' Halloween day 21: the ultimate Halloween music playlist - Sisters, What! Everyone has their own personal playlist for Halloween of fun songs. 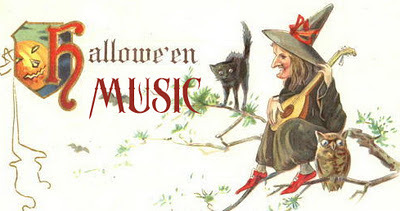 Well, today I present for you a list of some great classic and soundtrack music that should be on everyone halloween music playlist. Not only will you get a thrill listening to each one, but you're ears will love you and thank you for the awesomeness of this music. And, all your "cultured" friends will be impressed with your selection of music. This one is one of my favorites, and their couldn't be a more perfect name for this song. This is a MUST. Seriously. GET IT on your list NOW!! Need I say anything about this one?? Although, this might make your kids just act crazy. This is in every movie and it should be because it is that powerful. Again, no brainer. If not for yourself, do it for the kids. This one is fun because it not only is from Harry Potter, but the words are based off the witches chant in Macbeth. This one is not as well known, but i think belongs in this playlist. Especially since the name has "infernal dance" in it. My husband asked if I put it on here because Darth Vader is a Villain. I told him no, it's because Darth Vader induces fear to those around him. Mozart's requiem might be an uncommon one to find on a halloween playlist, but I think it belongs. After all, it was written for a funeral...And it is truly a beautiful and heart wrenching piece. I just found your blog. Your play list is awesome! I've listened to almost all of them. Good selection! Thanks for sharing! I'm hosting a Fabulous Fall party over at Not So Simple Housewife and I'd love for you to link this up! We are celebrating Fall and giving me and everybody else some great inspiration. We are looking for crafts, decor, food, and more! I'd love for you to add this and any other fall posts you may have!